My Mets Journal: Johan Gets Bulled Again! Little did I know, taht seconds after I finished my drawing DJ was shipped out. Nice work. It's the little details, like the extra box for the gigantic Rauch, that make this fantastic. The drawings for wins are great, but it's the ones for losses that help to salve the wound. Thanks for the fine, fine work. It helps in trying times. 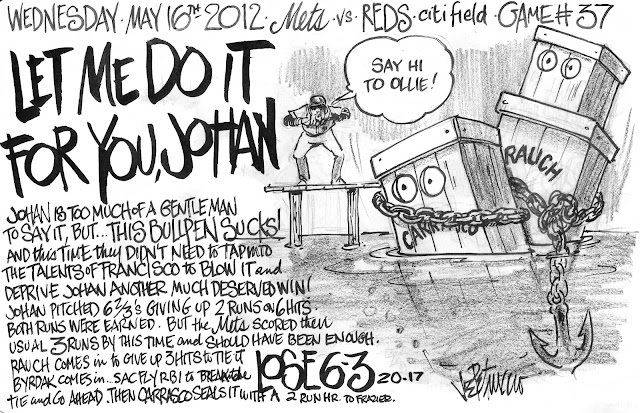 Joe, you make these B&W game recaps and turn frowns upside down!